This is the third post for the “How to Build a Skincare Routine” series AND is the last post on facial skincare. The previous posts covered dry skin and oily skin and now it’s time to take care of combination skin. This article will help you to create a full regimen of skincare products for combination skin. 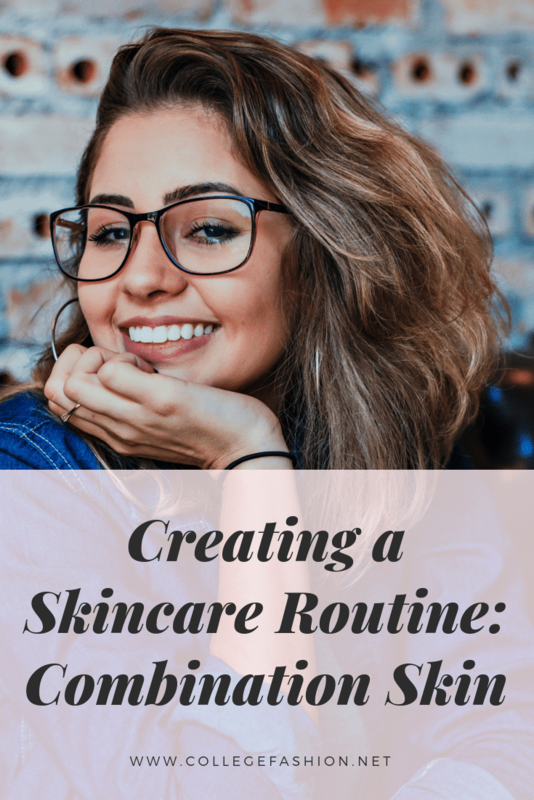 If you want to know more about what each step of a skincare routine is for, check out our Minimalist Guide to Skincare. And for some tips to keeping to your skincare routine, my skincare resolutions article should help. The first thing that needs to be done is the same for everyone, you need to take off your makeup. With combination skin you can get away with using makeup removing wipes but you risk drying out the less oily parts of your skin. My favorite way to remove makeup is by using an oil cleanser. Oil cleansers are great for removing both your base makeup and your eye makeup. It will also work to breakdown waterproof makeup. For instructions on how to use an oil cleanser check out the cleanser section from part 1 of the series. Once your makeup is removed you want to cleanse again to get rid of leftover makeup and skin impurities. The second cleanser can be targeted towards your particular skin type or concerns. And this cleanser can be used both morning and night. 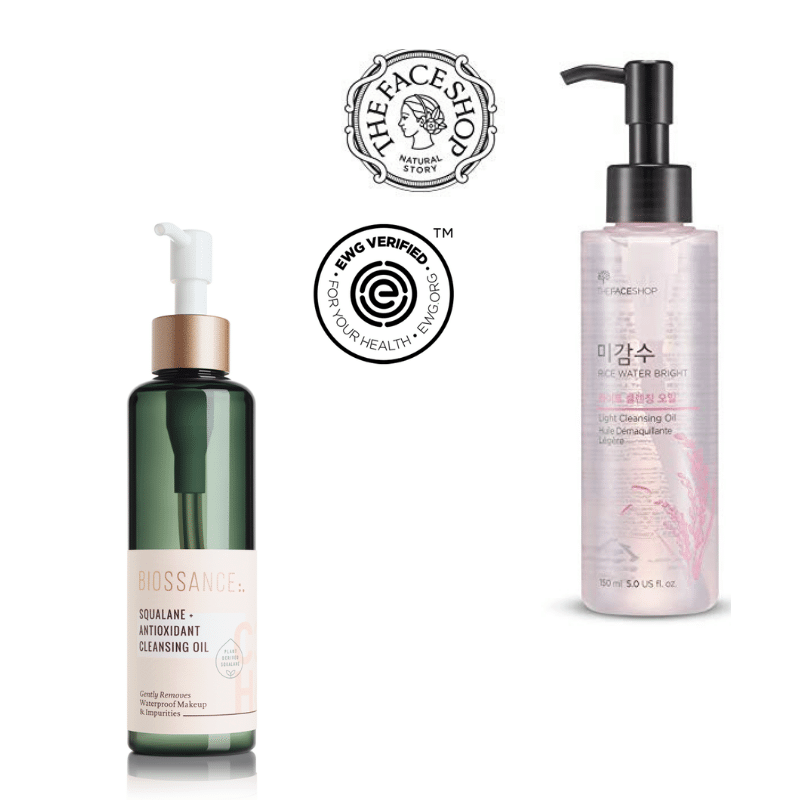 The Biossance oil cleanser is a great option for all skin types. It is a lightweight oil that will help to dissolve makeup. And it contains squalane oil which helps to prevent moisture loss. Another lightweight oil cleanser is The Face Shop’s rice water cleansing oil. This oil is a great cheaper option that helps to brighten and tighten the skin. And because it is safe for all skin types it will work well for combination skin. As for your daily cleanser, The Youth To The People Superfood Cleanser is a great option. It is ph balanced and helps to remove excess makeup. It is also anti-aging and is packed with superfoods and vitamins. And it comes in a pretty, minimalist bottle so you will want to leave it on your counter to remind yourself to cleanse! 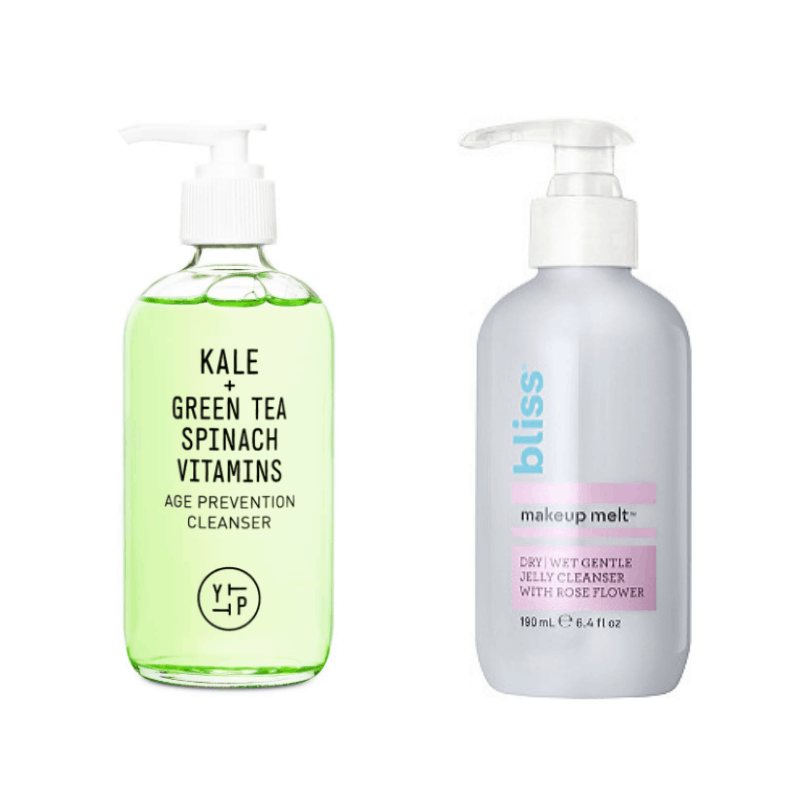 A cheaper option is the Bliss Jelly Cleanser. This one is a dupe for the Glossier Milky Jelly Cleanser and is a lot cheaper too. This cleanser will help to remove excess makeup as well as skin impurities without stripping the skin. The ingredients help to keep moisture in and provide a gentle yet effective cleanse. Toners are important for balancing the skin, removing skin impurities, tightening pores, and so much more. Toners can do a range of things like help to hydrate the skin or even exfoliate. You have lots of options for toners with combination skin; below are a few good choices. For those who really want to even out their skin type I recommend the Origins United State Balancing Tonic. This toner is made specifically to lessen your oily skin and hydrate your dry skin so that you have an even base to work with. It also has exfoliators in it so it will help to clean and minimize pores as well. And due to the addition of bergamot, spearmint, and lavender it gives a cooling sensation to the skin. 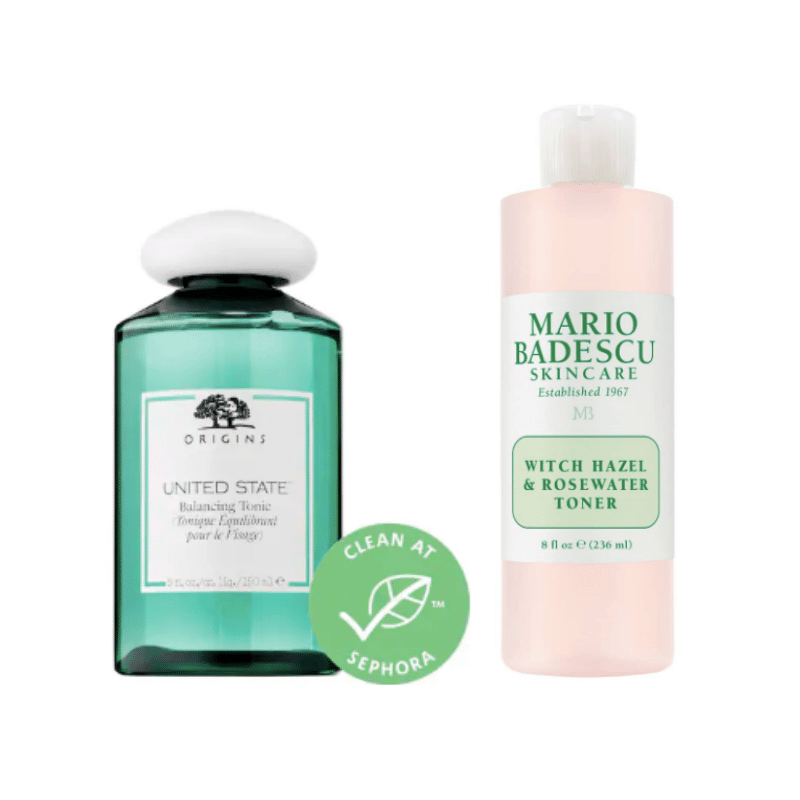 A cheaper option is the Mario Badescu witch hazel and rosewater toner. This product is not going to balance your skin as much as the Origins will but it is a great option if you are more concerned with the dryness of your skin. It helps to support the moisture barrier of the skin and helps to deeply hydrate and minimize pores. Serums are the powerhouses of your skincare routine. 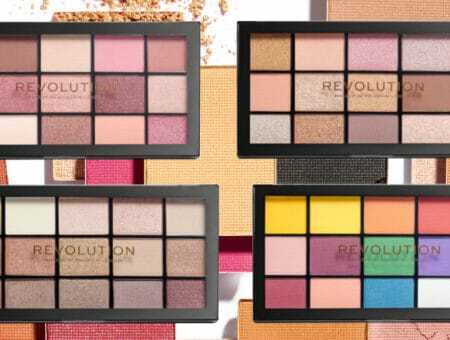 They are packed with concentrated ingredients that will work towards solving your skin issues. Choosing a serum, especially for combination skin, is very subjective. It is dependent on what type of combination skin you have and what your main skin concern is. And if you cannot find one serum that addresses all of your skincare issues, you can always use more than one. Just make sure that you are applying the thinnest formula first and the thickest last. If you choose to use more than one serum you may want to check with a skincare consultant to ensure that there will not be any interactions between the two products. If you find that your main issue is oil production, then check out the serum lineup from my oily skin article. If your main skin issue is dryness then check out the serum lineup from my dry skin article. Below, I am going to talk about exfoliating serums. 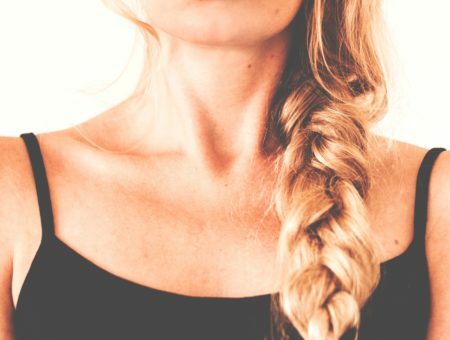 This type of serum is a major powerhouse. Chemical exfoliants like AHAs and BHAs do a multitude for things for the skin. Not only do they exfoliate but they tighten and brighten the skin. They also help to prevent fine lines. And many of them help to prevent blemishes as well. I love exfoliating products and Sunday Riley’s Good Genes is an amazing one that is loved by many. It is on the expensive side but if you can afford it, it is a fantastic option. The Ordinary also has some great exfoliator options, they have a Lactic Acid 10% + HA 2% and a Granactive Retinoid* 2% Emulsion. If you have a issue with blemishes there are some great serums for acne prevention. 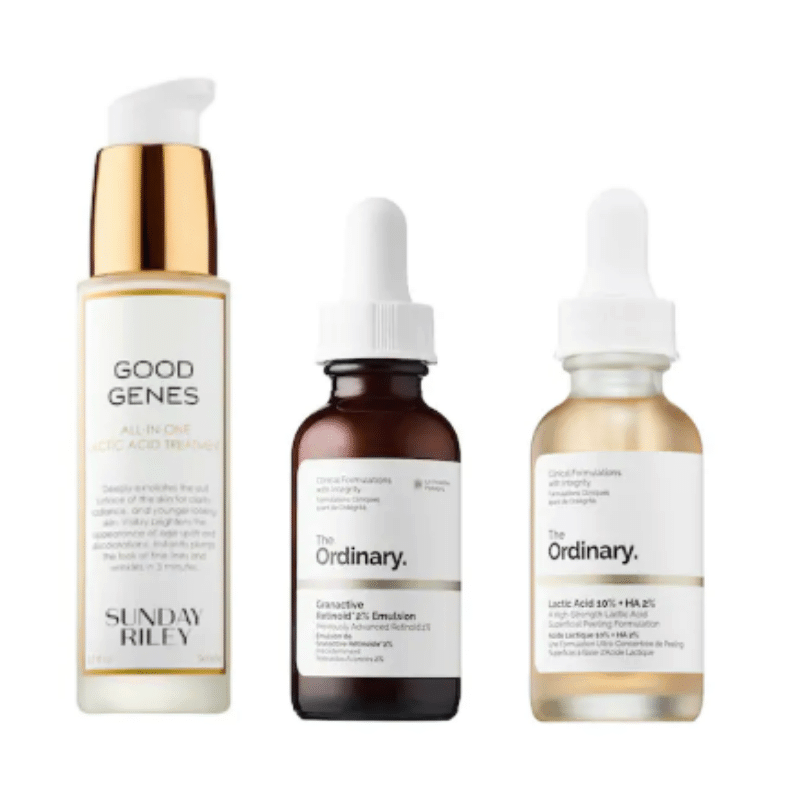 The Ordinary’s Niacinamide 10% + Zinc 1% and the 2% Salicylic Acid Solution both contain blemish fighting ingredients that will help to diminish the look of blemishes and heal the skin. There are a lot of serums on the market and if your main skin issue is something other than what I have mentioned the best way to choose one is through research and trial and error. These are just a few of what is on the market and best serum for you may not be on this list but you should be able to get a better idea of what you should be looking for in a serum. For more information about the ingredients you should be looking for check out this article that breaks it down for you. Moisturizers are so important! They help to lock in all of your previous steps and keep your skin hydrated. With combination skin you want to make sure that you are using a moisturizer that hydrates your dryer areas but doesn’t clog up your oily areas. A great moisturizer that can balance combination skin is the Origins Original Skin Matte Moisturizer with Willowherb. This is a great lightweight water cream formula, it absorbs quickly and hydrates your dryer areas but leaves a matte finish so that you don’t look too oily. If you live in a cold environment I would defiantly suggest the Kiehl’s Ultra Facial Cream. This product has Glacial Glycoprotein Extracts which help to retain moisture and protect the skin from extremely cold temperatures. An oil control moisturizer is a great option because it is both moisturizing and oil-controlling so it will help to balance your skin types. 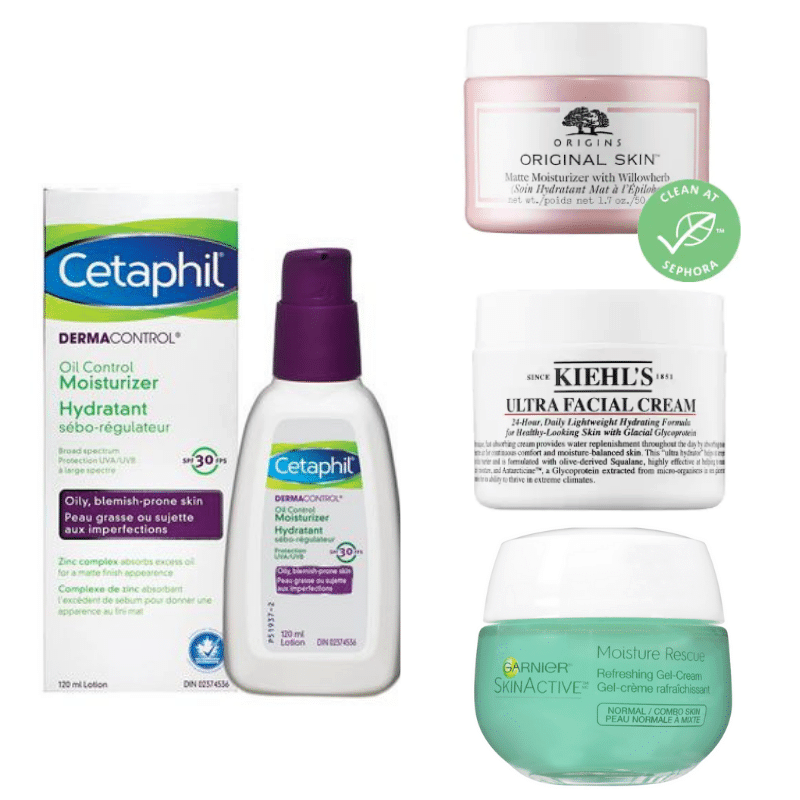 A great drugstore option is the Cetaphil Oil Control moisturizer, and it has SPF 30. This way you get to skip a step in the morning and combine your moisturizer and SPF. Now if you have a moisturizer with SPF in it you’re going to need a night cream without it. SPF is great for protecting your skin during the day but you do not want to be putting it on if you don’t need to. So if you are looking for a gel cream type of formula at a lower price point the Garnier SkinActive Moisture Rescue Moisturizer is loved by those with combination skin. You have a lightweight moisturizer that is also packed with antioxidants that will help to protect your skin from pollution. Eye creams are great because they help to protect some of the most sensitive skin on our faces. But the issues that you have with your under eye area can be completely different than your issues with the rest of your facial skin. If your under eyes are dry check out the eye cream lineup in part 2.
if you have dark circles check out the eye cream lineup in part 1. Here I will be covering another major under eye issue, and that is under eye puffiness! Waking up with puffy eyes is a major annoyance, and unlike dark circles you can’t just cover them up with concealer. 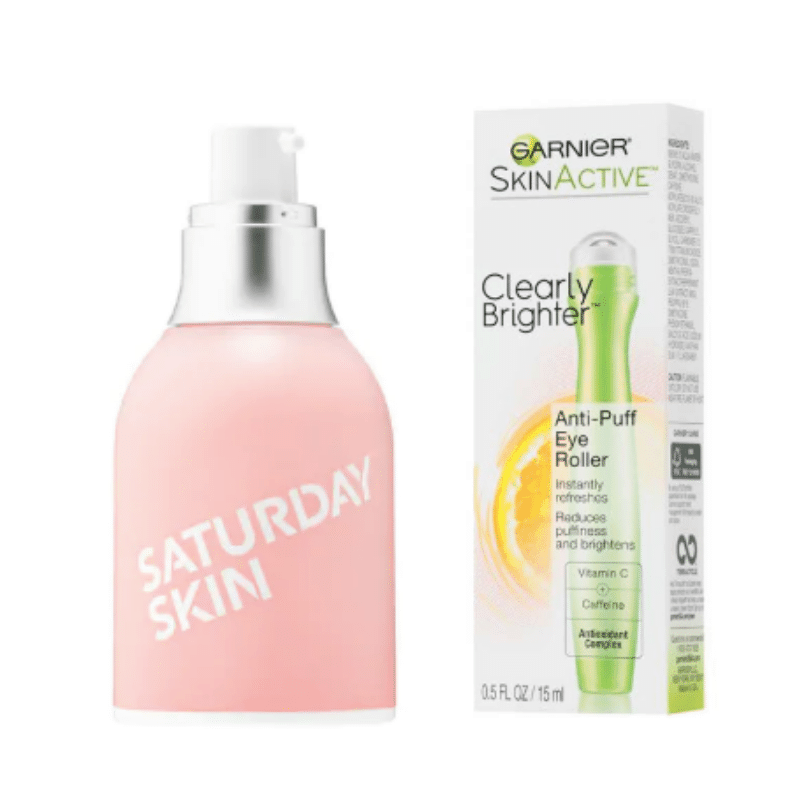 A great option is from the Korean skincare brand Saturday Skin. The Wide Awake Brightening Eye Cream does a whole bunch for your under eyes. Not only does it brighten but it also keeps your under eyes firm, and helps with dark circles and puffiness. If you are looking for a drugstore option the Garnier Clearly Brighter Anti-Puff Roller is your best option. The product is made specifically to get rid of your puffiness and the roller applicator contributes to de-puffing as well. It also has a cooling sensation that will help you stay awake in the morning! Now that we’ve covered your everyday skincare routine we can move on to the fun extras! Masking is a great tool to help with your skin, like serums, masks pack a punch of great ingredients and they will give you fast results. With combination skin a great option is multi-masking. I would suggest using a clay mask only in the areas where you are oily and a hydrating or brightening mask elsewhere. But you can always do one after the other if that works well with your skin. Tarte has a great mask duo that gives you both products in one and is perfect for multi-masking. If you find that your dry skin needs more TLC from your moisturizer which then leaves your T-zone too greasy, try using a mattifying primer in those areas to deal with the excess oil. My favorite mattifying primer is the Boscia White Charcoal Treatment Primer. Because this is from a skincare brand you are still getting great skincare ingredients and a really great mattifying product. Blotting sheets can also be a great tool for taking care of the oily parts of your skin. If you are on the more oily side I would suggest Clean and Clear’s Oil Absorbing Sheets. They are a bit more heavy duty than traditional blotting papers but they work amazingly well! If you’re on the less oily side but still need to touch up from time to time I would suggest a more traditional paper blotting sheet. Fenty Beauty released an interesting package design that includes a mirror, or you could go for Boscia’s tried and true papers. Do you have any questions for me? Let me know in the comments! Have you tried any of these products? Or do you have a holy grail product for combination skin?